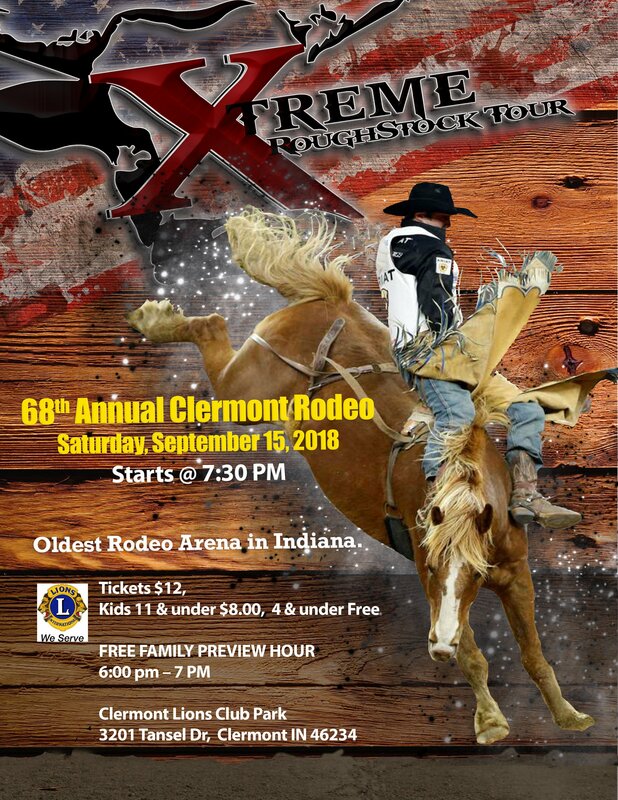 Clermont is getting geared up for their annual Parade, Festival, and Rodeo, which is being held this year on Saturday, September 15th. What is more fun than watching a parade as it passes by? The parade kicks off at 11:00 a.m. and will travel east on Crawfordsville Road from Raceway Road to Tansel Road and then south on Tansel Road to Lions Club Park. The festival will then be in the park with vendors set up with various types of booths. See the attached flyer for more information. If you have a group that is interested in participating in the parade or are wanting to set up a booth, contact Nancy Baxter. Her contact information in on the flyer. The fun continues that evening with the 68th Annual Rodeo. While the Rodeo actually starts at 7:30 p.m., there is a Family Preview Hour from 6 p.m. – 7 p.m. and the concession stand opens at 5:30 p.m. Pre-sale tickets for the Rodeo are available now, and you can save some money by purchasing in advance. Adults pre-sale tickets are $10 and children 5 years of age to 11 years of age are $7. The day of the show adult tickets are $12 and children from 5 – 11 years of age are $8. Four and under are free. To get your tickets in advance contact Ken by calling 317-847-7884. These events are made possible by the Clermont Lions Club. 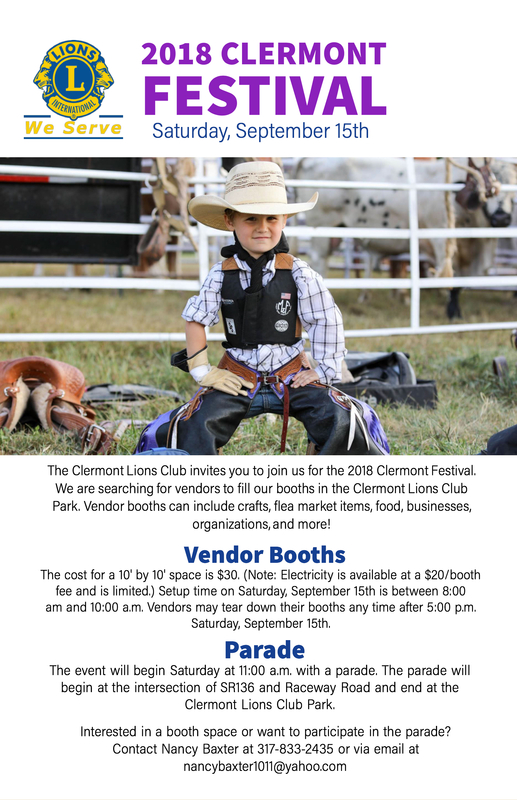 Please feel free to pass this information on to others, as the Clermont Lions Club would really appreciate help with spreading the word about their great events. Hope to see many of you at the parade, in the park, or at the Rodeo!